Promotional Spinning Logo Key Tag is made from metals. Custom Lasered Keychain features high-gloss polished finish. 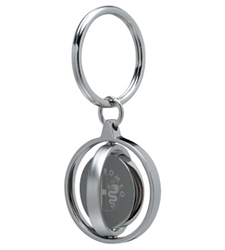 Promotional Spinning Logo Key Tag is available in Silver color.